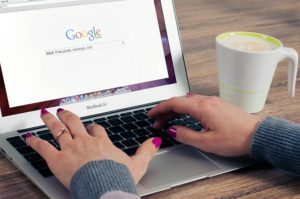 Can You Do SEO for Yourself? Home/ Can You Do SEO for Yourself? As I’ve been talking to potential clients recently and proposing services, a question regarding SEO keeps coming up in a few different iterations: You offer social media consulting. Can’t you just tell me how to do the SEO for myself? While the technical answer is yes, that’s not the answer you actually want. Most folks are familiar with how to post on Facebook, Twitter, Pinterest, etc, so social media consulting is basically pointing folks in the right direction based on their analytics on what to post, when to post, how to engage with their audience, and things like that. The basic how tos are already know. With SEO, on the other hand, folks aren’t typically in the Google keyword tool every day. They don’t know what their Google Analytics code is or how to navigate the Analytics reporting. They’ve probably never heard of Panda or Penguin or Fred, at least not in terms of how those words relate to SEO. They don’t have a basic grasp on the different rules between Google and Yahoo/Bing. In addition, the navigation of the different CMSs (like WordPress, Wix, Squarespace, etc) and the SEO widgets/plugins for each varies widely. If you aren’t already familiar with SEO and the widgets/plugins that work for you, you’re adding a TON of work for yourself. So if you want SEO consulting, it technically can be done. But it’s going to take longer because it’ll basically be SBN Marketing doing the work then showing you how to do it and/or explaining it to you. It will cost you more for the same reasons. And there is a much greater chance of something going wrong and you not getting the results you want because you don’t do SEO all the time. Unless you’re looking to get into SEO as a living, you’re better off hiring an SEO provider and getting the work done right. If you’re interested in SBN Marketing being your SEO provider, give me a shout!